There are many building construction templates on the Internet today, thus models used in project planning to the templates used for budgeting. Each construction form on this list serves a different purpose, so it is important to download what you need. The forms are 100% free, easy to customize, and you can get them simply with the click of a mouse. 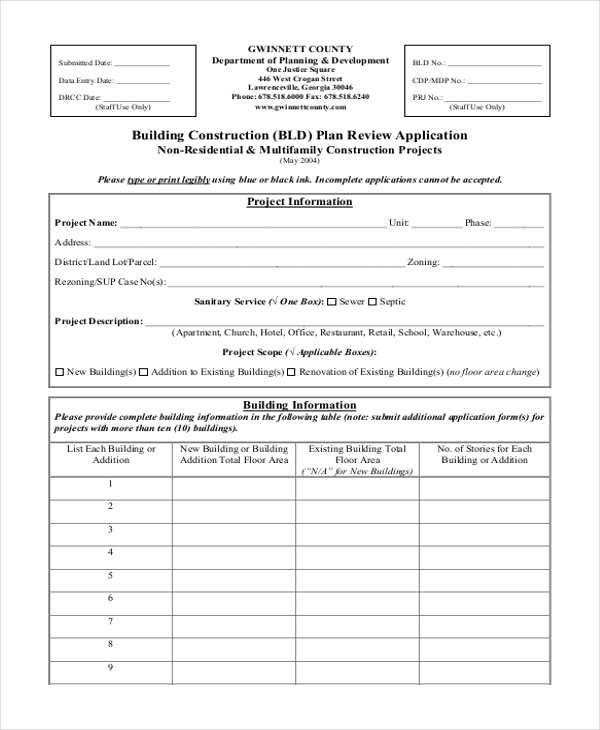 Creating a construction plan for review can help the project team determine the viability of an upcoming construction project. The plan highlights project information, building information, and the details of the construction project developer. 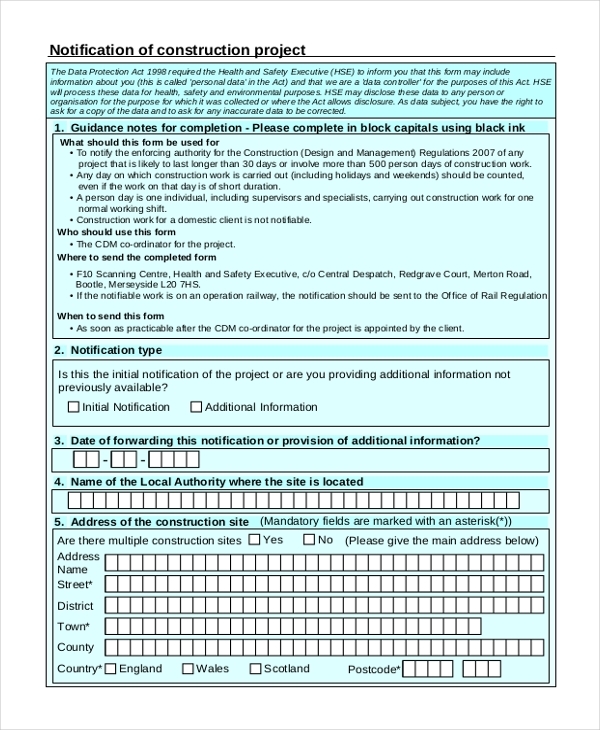 A blank construction form is ideal for proving general information about a construction project. 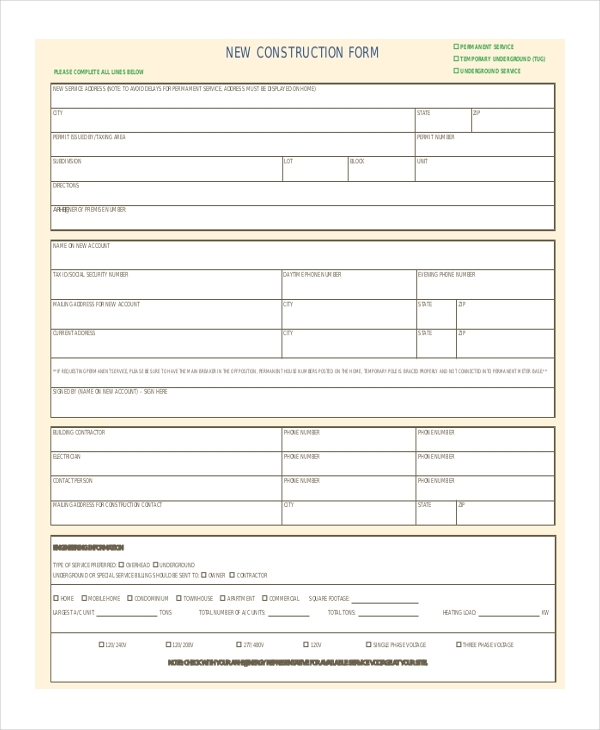 Usually, the form is easy to fill out, so it should not take you long to get the relevant information ready. 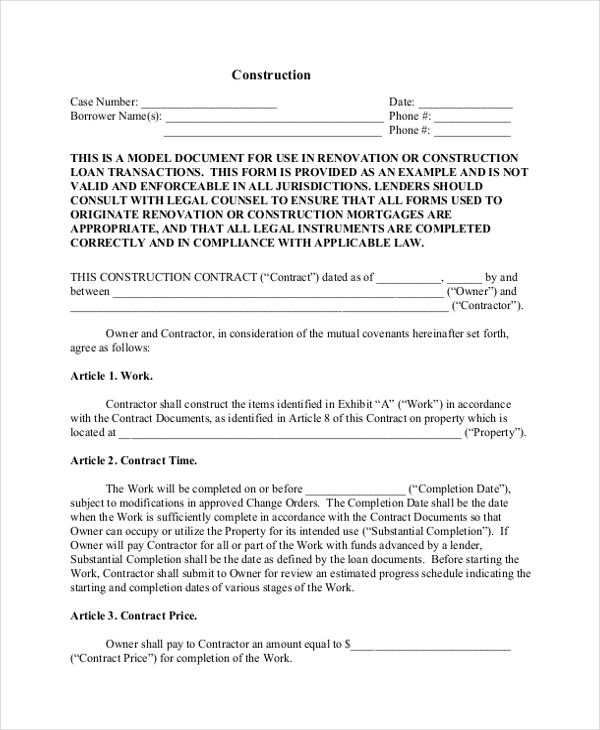 The basic construction form outlines some of the very basic information about the construction contract. Because the contract must be clear and easy to understand, the designer of the form used the simplest language for content. The Concrete Construction Form is a 47-page informative guide to help you learn how to do an analysis for construction projects. The information presented in the document is not only accurate but also useful and practicable. The agreement between a contractor and a project owner is what is likely to determine the business relationship between the two parties. 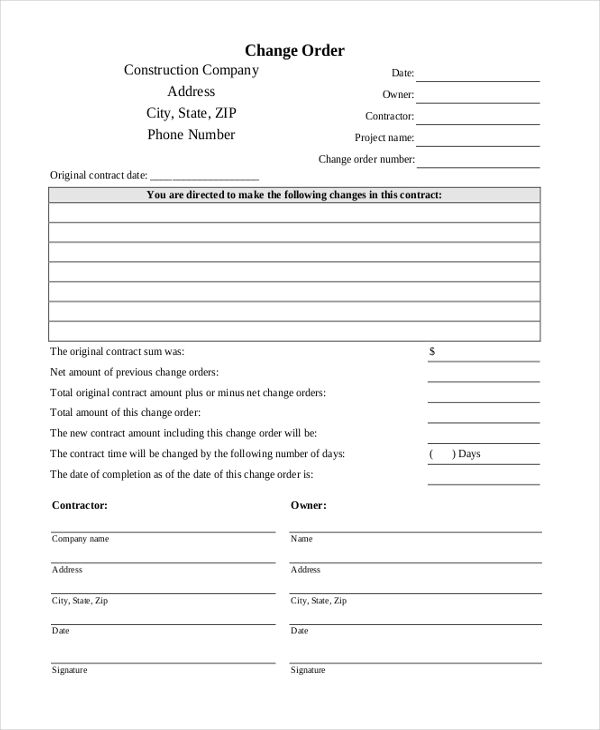 You can use this form to sign a contract with the project owner (the potential client. 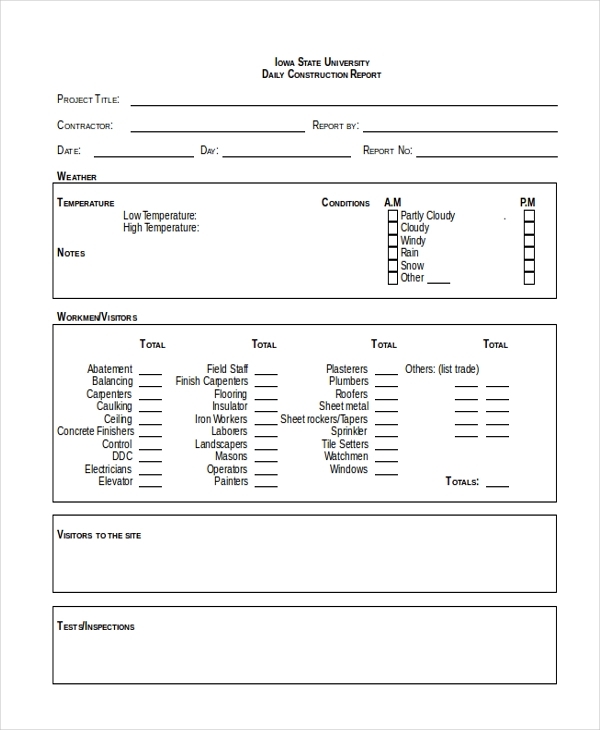 If you, a client, needs to make changes to a construction project plan even after approving it, you can do so by using the defense construction form. 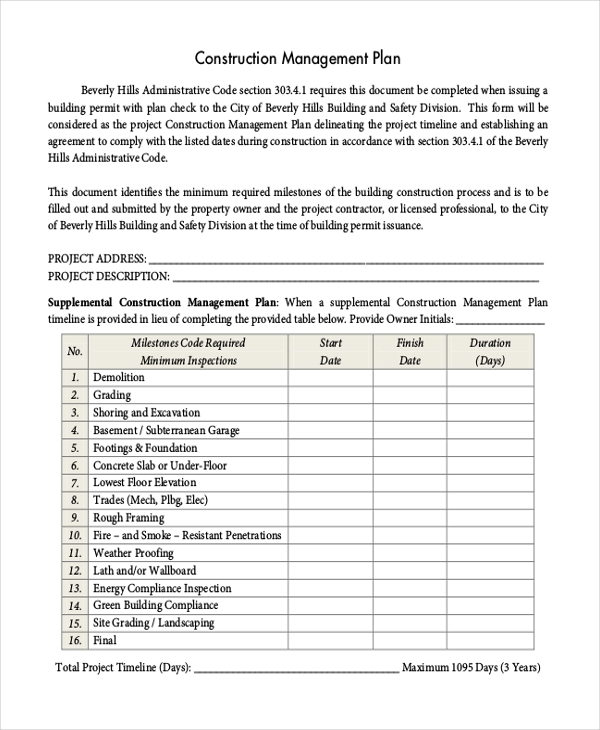 The amendment form is usually the best document you can use to suggest all the edits you want to be made in the approved project plan. A change order in the construction contract may trigger a drastic change of events, but a contractor who is willing to work on your terms should make these changes as soon as possible. 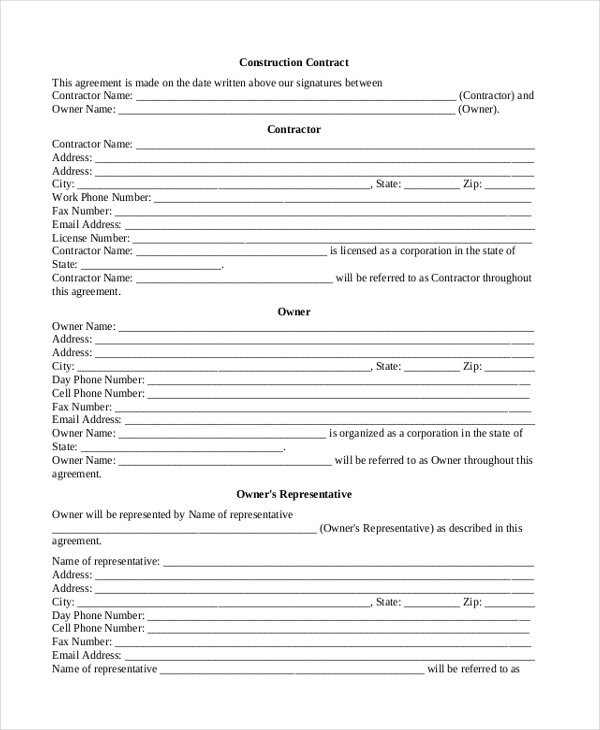 Use this form if you need changes made in an accepted contract. The daily construction report is information written and shared to highlight the progress of a construction project on a daily basis. It outlines the sites visited, the work is done, the people involved, and more. At the end of the day, what you put down on paper depends on observation. A potential client cannot hire you for a construction project before they learn about your work experience. 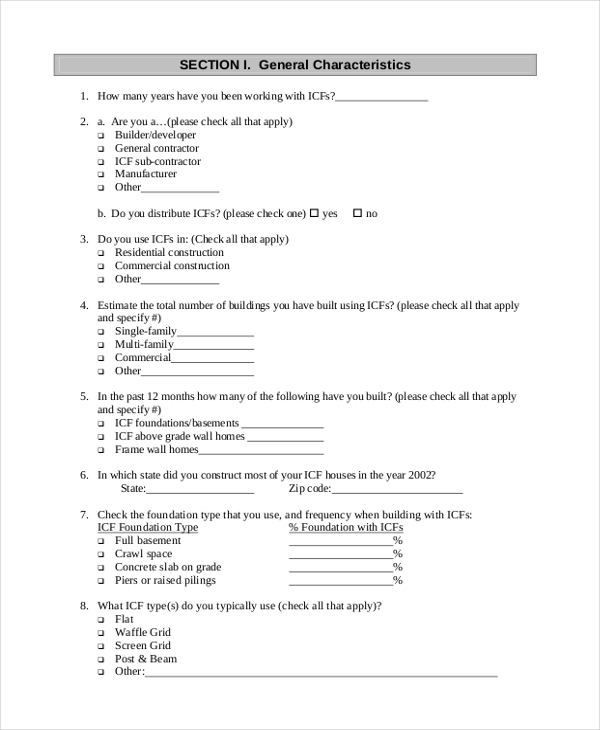 Therefore, you can fill out this form by providing relevant and accurate information about who you are as well as the projects you’ve worked on in the past. If math is not your thing, this form may not be for you. 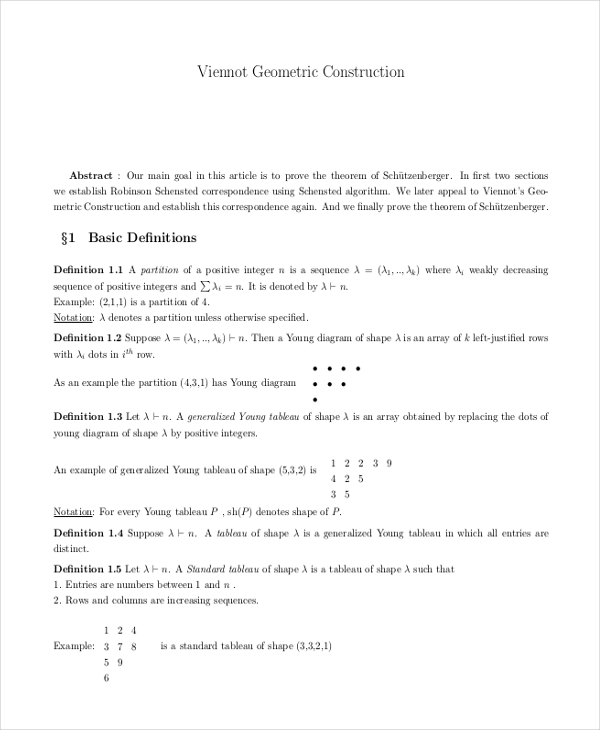 The 11-page form is a mathematics booklet that teaches you something little about geometry construction. Download the form for free. The New Construction form is for those who would like to express their interests in a new construction project. 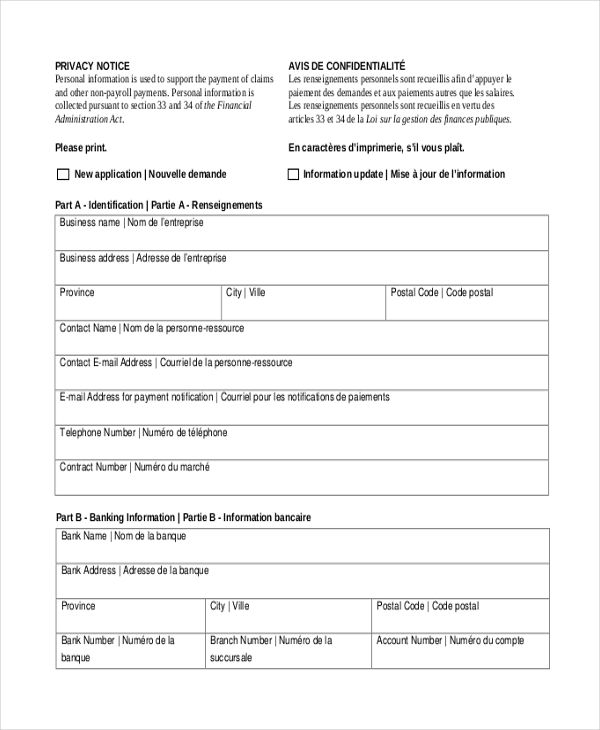 The form is easy to fill out, so it should not take you long. Potential customers are always looking for the best offers on the market, which means they only check the high-quality construction bids. If you would like to apply for a project by bid, you need to make sure your bid reads well. Don’t just wing it; make it super objective. 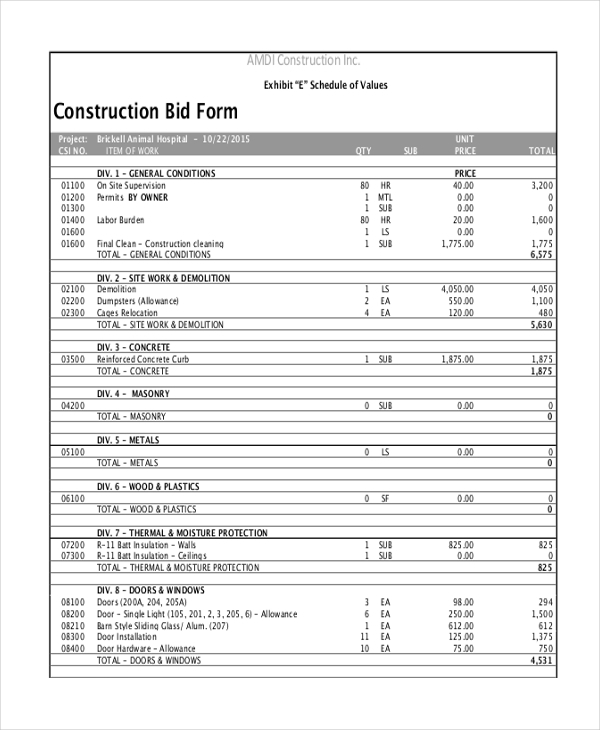 The Construction Estimate Form is a comprehensive construction analysis tool designed to make your work easier. The form is easy to fill out; so it should not really take you long. 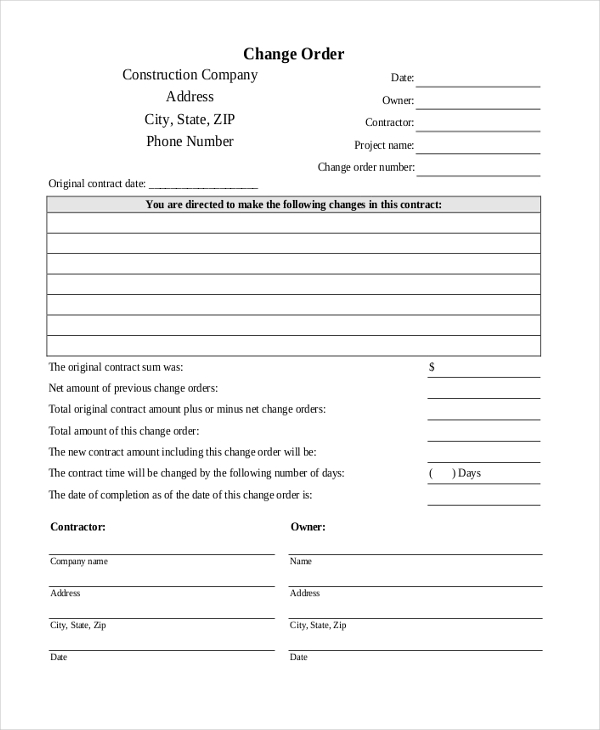 The construction agreement form is easy to edit, so you can make changes on the fly when the need arise. What’s more, you can even add more content if you feel there is something that you need to add. In fact, the information in the final document depends on you. 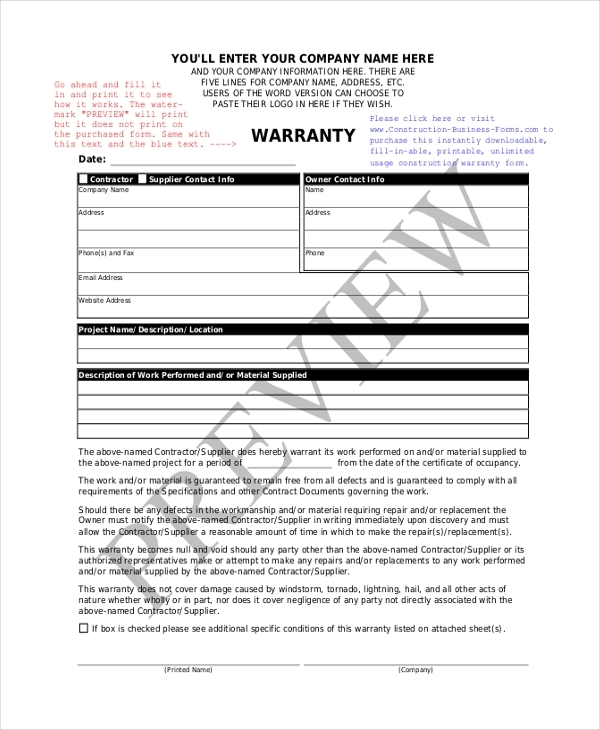 A construction warranty is an assurance given to a client by your construction company that the materials to be used in the construction project comply with the standards of the construction industry. The form gives the customer the guarantee that the resources are up to the mark. Construction proposals often vary. How you write the proposal depends on the nature of the project in question. 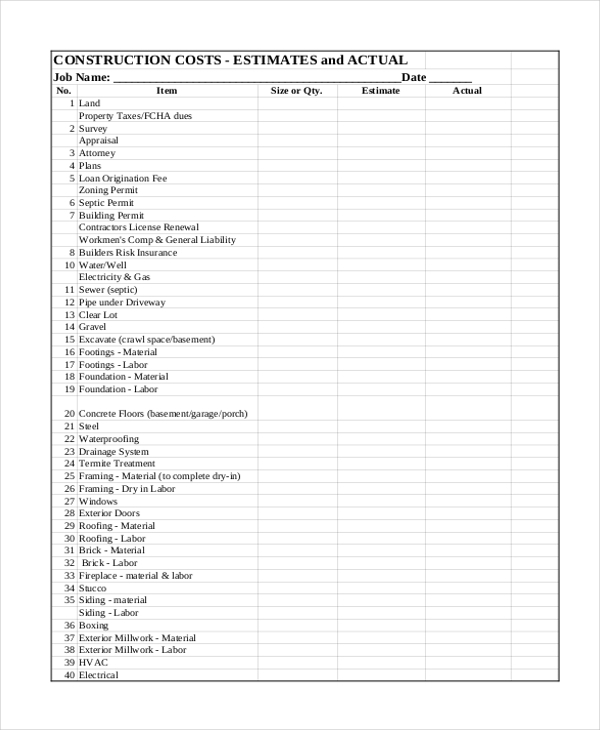 You can use the sample form template below to create a comprehensive construction proposal that can win you a good business deal. Instead of spending a lot of time on your computer trying to create the form from scratch, you should consider the option of downloading the free form with the click of a mouse. A construction management plan will help you to manage a construction project skillfully, even in the days when you feel a little bit low energy. It is always important to have a structured plan and the construction management form is that which can help you to create the best management plan. 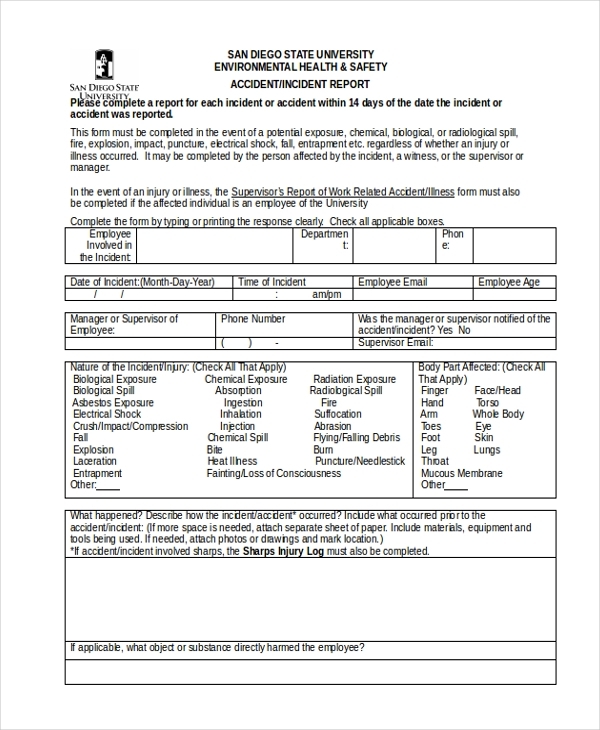 In the event that an accident occurs during a construction project, you could report the incident by filling out this form instead of making expensive phones calls or writing email messages. The message about the accident should reach the manager as soon as possible. 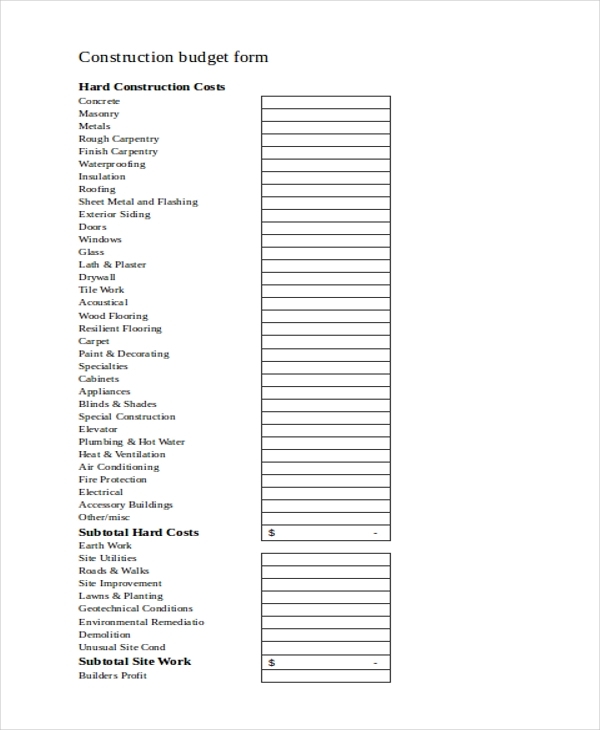 A construction budget form gives a brief or detailed overview of the total amount of money likely to go into a project. It is important to understand that this is usually an estimate of the possible total cost. Obviously, the amount will be different when you factor in the actual cost. Who Should Use the Construction Form ? 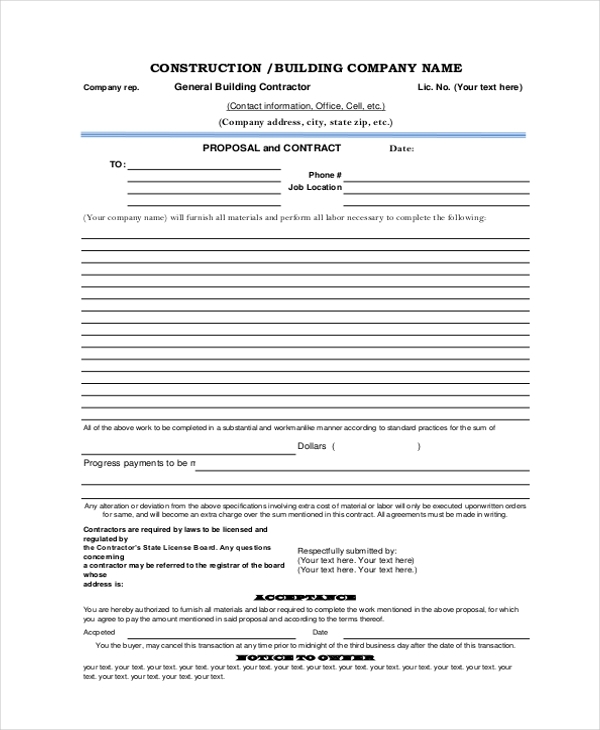 A proposed property owner can use a construction form to prepare a legal contract that will manage the relationship between him and a contractor. 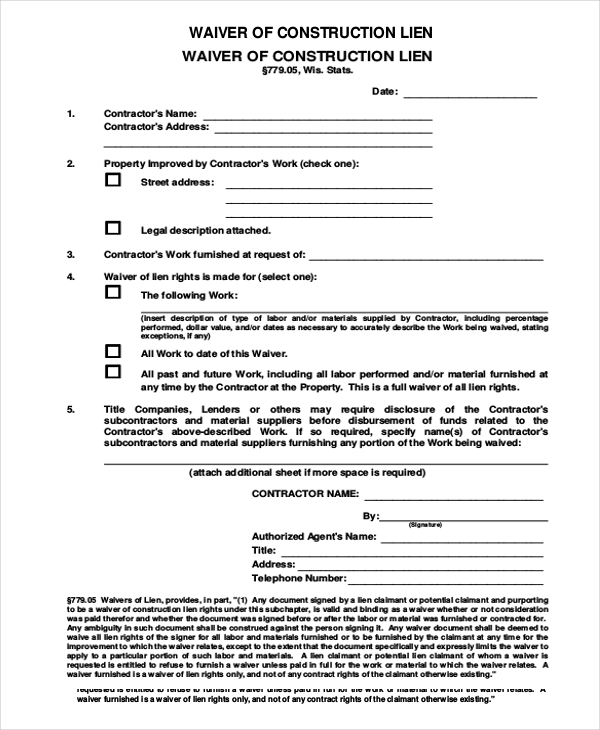 A contract of agreement for construction is the outline of the terms and conditions of a construction project agreeable between a contractor and a client. The two parties need to make sure that the contract is clear, easy to read, and comprehensive. At the end of the day, it will be difficult for a contractor to sign the contract of the agreement if they do not understand the content of the contract. Also, a contractor can use the construction proposal template to express their interest in a construction project. The templates are available for free download. As long as you have access to the internet, you can download the template with the click of a mouse. Then, you can take the template straight out of the box and use it on the fly. 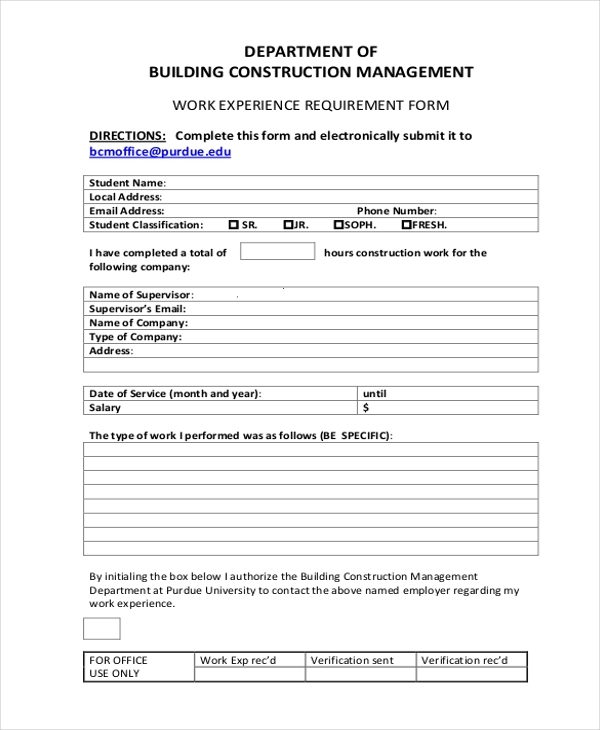 To be brutally honest, creating a construction form template from scratch is somewhat overwhelming because it is not an easy task. As such, downloading the template is usually the most sensible and practicable option. Besides, the forms are easy to fill out. Because the internet has all these templates readily available for free download, there is no real reason why you should spend a lot of your time to create an outline from scratch. 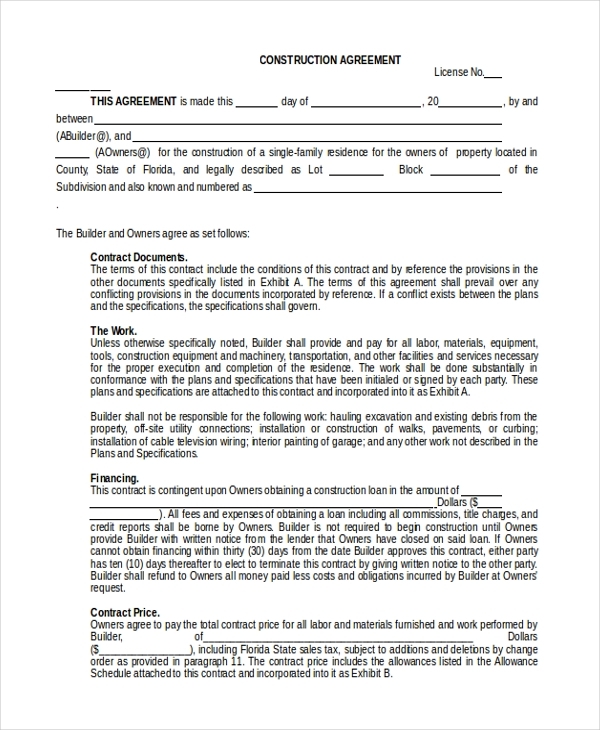 Remember, some forms are quite lengthy, especially those related to construction analysis; so the best thing to do is to download the construction contract template instead of creating one from scratch.